Discussion in 'Headphone Amplifiers' started by marcusd, Nov 13, 2012. A heavy investment but totaly superb with the Hifiman HE6 and pretty good with the LCD-2 V2. If your HE6 is too bright or thin then this 10 watt per channel balanced headphone amp will sort out your concerns after about 100 hours burn in time. 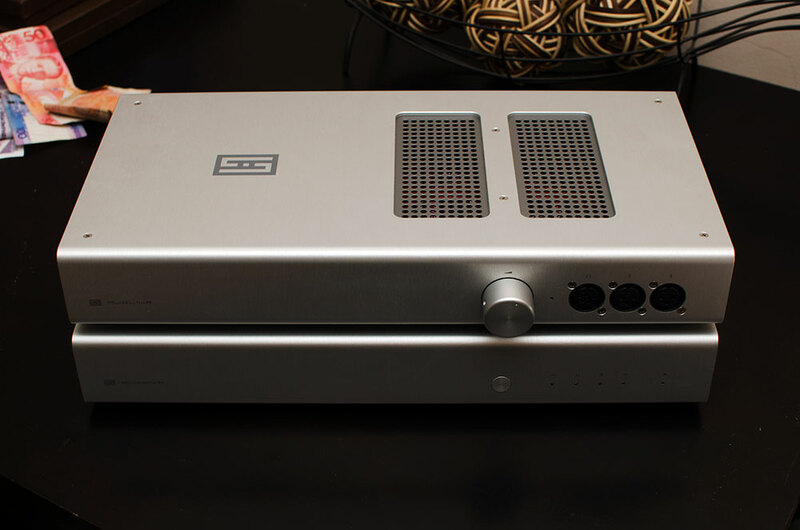 The Gungnir is the matching DAC and is armed to the teeth with everything you need for desktop listening - USB, Coax, Optical, Balanced and SE outputs (making it a fully balanced setup) and a beautiful brushed aluminum case and modern minimalist front. Robin: Are these likely to be sold on hifiheadphones? If so do you know how much these will be in the UK? Guys invest in balanced IC for this and get come copper gauge at that, it really helps the tonality and increases the gain and detail immeasurable over SE cables - even QED SE comes up short compared to balanced IC.